Get to know Chopin's music as the pianist shows us his take on these Romantic piano works. Chopin never called this piece 'The Horseman' - in fact, he absolutely hated the nickname - but listening to the galloping rhythms in the piece, it's difficult to imagine it being called anything else. It's one of Chopin's more technical study-style études, notable for its quick bursts of clashing notes throughout the music. Perhaps unsurprisingly, it's known as the 'Wrong Note' étude. Lang Lang brings out the mournful left hand tune in his recording of Chopin's 7th étude - highlighting the very reason this study is nicknamed 'cello'. It's one of the cheekiest études in the set, sounding all the more exciting thanks to its unusual key signature of six flats. This stormy study, known as the 'Winter Wind' étude is an exercise in sheer endurance, thanks to its fiendishly difficult notes. Even Lang Lang himself found it tricky as a child: "I always found ‘Winter Wind’ extremely difficult and though I worked at it a lot it was always difficult to ‘get’," he said. 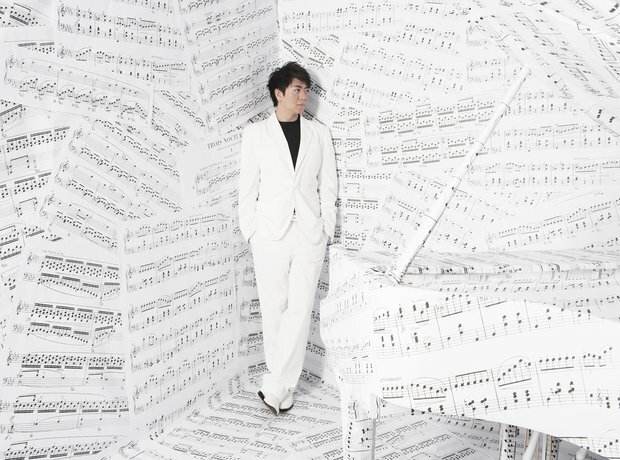 Even for a great pianist like Lang Lang, performing such an intense programme can take its toll: "When you’re a youngster and you’re playing the Études in concert," he said, "by the end of it – and especially when you reach No. 11 – you’re generally feeling pretty exhausted, not just physically but also mentally!" Lang Lang tackles the first in the set of three nocturnes, written between 1830 and 1833. The peaceful opening soon gives way to some of Chopin's more stormy writing. Chopin's first published waltz for solo piano, expertly handled under Lang Lang's fingers. Grand Valse Brillante is one of Chopin's most famous piano pieces, and it's easy to see why with its cheery tune and dancing bass line. This quietly rippling piano piece wasn't originally part of Chopin's Op. 22. He completed the music in 1834 and added it to the start of the Grande polonaise brillante, joining the two parts with a fanfare-like sequence. 18. Nocturne in C-sharp minor op. posth. A relaxing change of direction now as Lang Lang performs this Nocturne, first published 26 years after Chopin's death. You might recognise this mournful tune from Roman Polanski's film The Pianist. Full steam ahead for Lang Lang as he puts his stamp on Chopin's speedy waltz. But don't be fooled: it's 'minute' as in 'small', not as in 'lasts 60 seconds'.